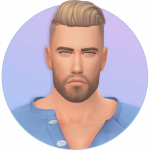 Get Together Mods - Update? and I absolutely love them, however, sadly, they are still not updated. Does anyone know how to do that? Is it too complicated if I try to learn it myself? The first one still works fine. The second one has a replacement. The author of the third is sick and probably won't update it for a bit. Yes, updating mods is complicated. @Anckaa I was just browing MTS and noticed that the third mod was just updated by the author, in case you've been waiting on that. @Cupid Thank you for the info!